All proceeds go to supporting The El Dojo!! 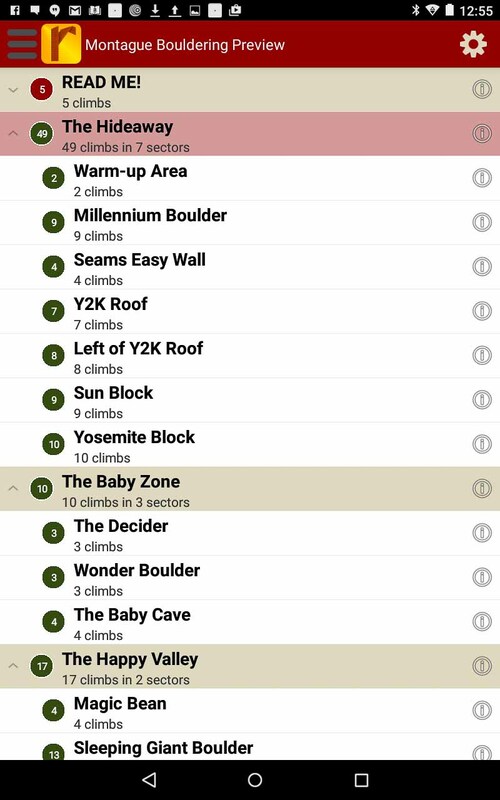 Montague Bouldering contains the most complete and accurate beta you will ever find for the Hideaway and the Happy Valley, and the only guide on Earth to the Frost Giants and the Baby Cave! Whether or not you know it yet, you can't live without this guide! These are some of New England's best boulders! Montague is hiding ~100 gneiss problems, and has something for everyone! Comfortable easy problems in a variety of styles - check! New England classic moderates - check! Power tests - check! Committing highballs - more than you can handle, you sissy! Projects that will spit you off and kick sand on you in front of your best girl? Yes sir! For God's sake, just look at the cover and tell me that problem doesn't look good! There's more where that came from! Are you saying to yourself, "I don't want another climbing guide with an impossibly crappy map!" We got you - with our GPS maps, you will get from the car to every sector and problem without any of the Blair Witch episodes that Montague is famous for! Are you saying to yourself, "Yeah but guys, I don't even know what or where half the problems are when I get there! Other guides have awful topos!" Well, we have topo photos for every problem! Find your new proj with ease with Montague Bouldering! But don't take our word for it! Try our free sample! This is the guide that will change your life! Or at least help you find a new rock to climb on! Which might be the same thing, depending on your climbing OCD. All author proceeds will be donated to the Western Mass Vertical Training Cooperative, better known to locals as the El Dojo.